For you to rise above where you are, you must think above where you are. your mindset determines what you attract. stay confident with your vision and work hard on your passions and believe me when i say, "You will Achieve Your Goals". Never Consider the possibility of failure but see every challenge or temporary obstacle as motivation to build strength knowing that only practice makes perfect and you can also do better with every small effort you put into your work in a positive way. Thomas Edison once said after his great discovery that "I did not fail 10,000 times, I only found 10,000 ways that it won't work". For one who after so many trials found a way that his goal could be achieved tell you more about how challenges build up motivation as well as knowledge to understand and completely conquer your flaws. Success is a game of conquer failure first and then achieve Success. 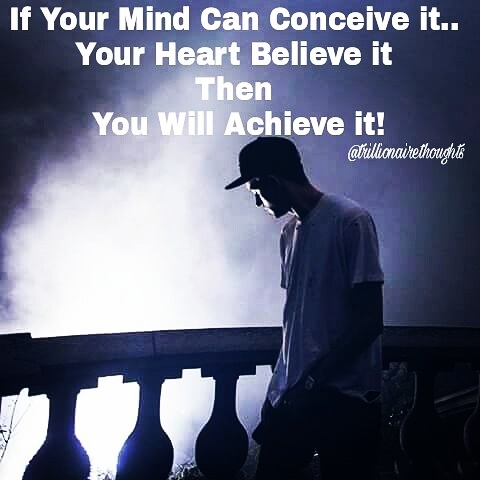 a successful lifestyle can only be gotten through strength and tenacity with belief that for your mind to conceive it and your heart believe it then you can achieve it no matter how long it takes. To build a successful lifestyle, you must be patient and have self-confidence and persistence as your front guard in your battle to the top. No one in the history of the World build an empire in one day....even Rome was not built in a day. Denzel Washington said that "if you pray for rain, be ready to deal with the mud as well". Yes, this is so true as It's also like praying for a rainbow and not wanting the storm. This is practically impossible. Life for me means Living In Full Experience. for you to come out as a Diamond, you must first go through pressure as the fine things in life don't come cheap.